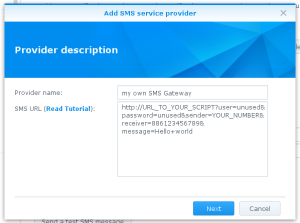 I have already shown how to use a shell script to send a SMS in the post How to use a free Web SMS from Sunrise within a shell script. This script can also be used in the Synology Notification Center. This way you will get a SMS as soon as something is wrong with your Diskstation. 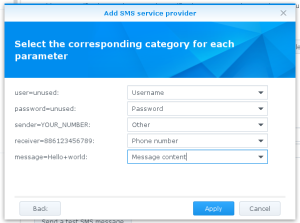 On my tests, I got the SMS within a few seconds. To do so, open the Synology Control Center and navigate to Notifications. There, select the tab SMS. 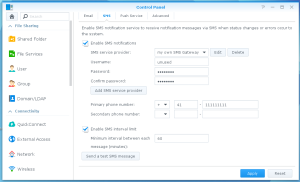 Press Add SMS service provider. Enter a name and the url to the script. My script does not use a password protection, but Synology expects one. So simply add the parameters user and password. For all the parameters, add some temporary values. 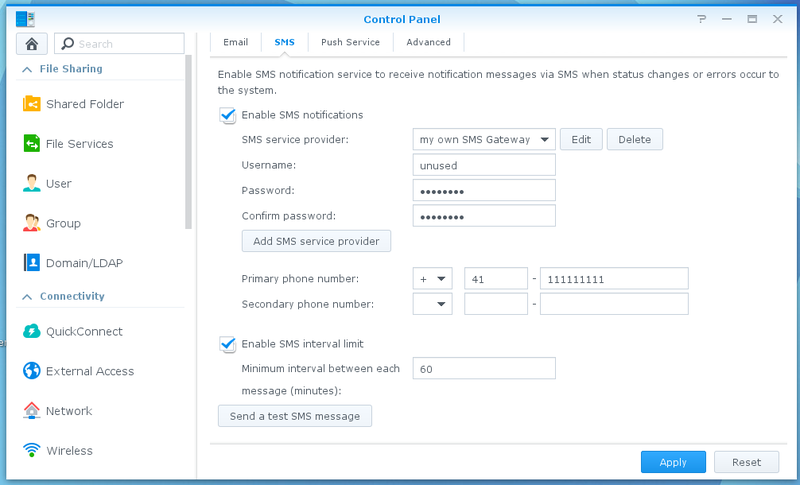 You can now select your own SMS Gateway. For the password and username, enter some random (unused) values. For the Primary phone number, enter the number of the receiver.